I would like to know how to change the theme in Windows XP in my HP home system. Please give me a step by step explanation for that. First right click on the desktop screen and select properties option. Click the Themes tab from the Display Properties dialog box. Click the theme list and choose your preferred theme. Windows XP gives a preview of your selected theme. If you like the theme, click OK or else click cancel. You can get experience the new them immediately at the instance you click OK. Select the "Control Panel" menu option. Select the "Windows 7" theme under the "Aero Themes" list. Right-click on Desktop and hit on properties. Now theme will be shown for you. Select the theme that you wanna be. You can also select the theme if you downloaded by using browse option. Now hit Apply and then OK to change it. To change the theme of your windows XP . You should have the themes first on your system. Once they are installed on your system. Then right click and select the properties . Than open the themes section in the properties. The list of the installed themes will appear on the list. Now you just have to double click it to put the theme. Once you are done press ok. Themes are one of the important component of the computer. It is only because of themes that your computer looks appealing and attractive. Also energetic kind of themes gives a kind of life to your display screen. 1.Download the theme you want to set as your dekstop theme. 2.Right click in the empty space on your desktop. 3.The display properties box will appear. 4.Click under the theme option. 5.Click on browse.It will open a list of saved themes on your computer. 6.Click on it to select and press enter. 7.In the properties box click on apply. 1.Right-click any where on the desktop and then select properties from menu that appears. 2.Then DISPLAY PROPERTIES WILL OPEN. 3.Click the drop-down list (i.e.,small arrow). 4.There you can select theme of your own and you can search themes on net by selecting more themes online. Right-click anywhere on the desktop, and then select (left click) Properties from the menu that appears. You will be presented with the display properties box. Click on the small arrow that we have pointed out above and you will see a selection of themes from which to choose from. My current theme = your current settings. Windows Classic = if you are used to previous versions of windows, then this will be nice and familiar. Windows XP = the default theme. More themes online.. = allows you to look for more themes on the internet. 2.Select "Control Panel" menu option. 4.Select "Windows7" theme under the "Aero Themes" list. Right-click on Desktop and select properties option from different options. In that there are many themes shown for you. You can also select the theme if you downloaded it from internet. ->Place the cursor on the screen and "right click" on it so you can get some list of options. ->Select the "display properties"from the list. ->By selecting that option there can appear one box you can seen from the above given image of example. ->So there is an some options of including themes go to it select the theme that you want. XP themes are no longer attractive, and so there are third party apps that come like just other installation softwares. What you need to do is just browse the internet for your desired theme. Then download from the website. Once you have the file then double click to install it. Once you install it reboot to take the changes come in to effect. You can customize the theme. 1)Right click on the desktop and Select Properties. 2)click on the appearance tab then you should see a tab below that that says windows and buttons. 3)click that and chose windows classic style. 4)click advanced and this will allow you now to change most visuals in windows xp here all you have to do is click around and try different things don't forget to click apply when you change something so you can see what it look like. 5)Again to change it back simple goto the themes tab and chose windows xp or any other theme you have. Do you want change theme in windows XP in HP home screen following some given steps. ->go to windows xp home screen. ->right click on the home screen. ->there will be so many themes are available. -> here you can select which theme you want to set on your HP home screen. ->double click on the selected theme. Right-click on your desktop and select "Personalize." The window is broken down into three sections: "My Themes," "Aero Themes," and "Basic Themes." "My Themes" are themes downloaded from the Internet. They are stored in this location. "Aero Themes" are the system delivered themes from Microsoft. "Basic Themes" are the themes used if you do not have a high-powered graphics card capable of displaying an Aero theme. You can also use these themes if you want to give a borderline computer a performance jolt. 2Click the theme desired and in a moment your theme is displayed. You can click on all the themes available to see which on you like best. 3Click "Get more themes online" to download new themes. First of all go to the desktop and right click on it and then a new scroll will be open now you can see the so many option , so you just select and click on the last option "properties"..Now you are in system properties tab...After that just click on the display properties and than By selecting that option there can appear one box.. Now at the end just select or change the theme according to you..
Changing the Theme in Windows XP in HP Home System is a very easy process. Thus you can change the theme in windows XP in HP Home System. 1. Right click on desktop and go to properties. 2. From the available dialog box select the theme tab. 3. From the list of available themes, select your dsired one. 4. You can see its preview by clicking on the button of preview. 5. Finally, after selection click ok. I have the methods of applying themes to your computer by following first method you can apply any theme you like and present anywhere in your computer. And by following the second method you can apply themes only which are given by the Windows XP. 2.later go to the start menu and go to the 'My Computer'. 3.Then go to the folder where the themes are present. 4.Make a double click on which you like and it will open. 5.Then make a right click on that theme and click on 'Set as Desktop Background'. 3.Then click on the 'Properties' option. 4.There you go to the 'Desktop' tab. 5.There you select the theme which you like. 6.At last click on 'Apply' and then click on 'OK'. >> Firstly, right click on the Desktop and choose Properties. >> Now, choose Theme Tab from the Dialog box. >> Here, select the Theme that you want to set and then press OK button to Apply Settings. Right-click your desktop, and then click Properties. In the Display Properties dialog box, click the Themes tab, click the Theme list, and then select the theme you want to use. Windows XP shows a preview of the theme. If you like how the preview looks, click OK. Otherwise, click Cancel. The new theme takes effect immediately. The following is the porcedure for solving the problem of changing theme in Windows XP in HP home system. At first you have to go to desktop and make a right click on it. The tap on to the properties option. Now you need to press the desktop option. There the theme is to be selected which you want according to your choice. After that press the apply option. Then the OK option is to be tapped. 1st->go to windows xp home screen. 2nd->right click on the home screen. 4th->there will be so many themes are available. 5th-> here you can select which theme you want to set on your HP home screen. 6th->double click on the selected theme. To change the theme , you just have to do below mention steps . => Go to desktop . => Browse the picture which you want to make it as a theme . => Select that picture and then press " Apply " button and then " Ok "
Your theme will be changed successfully . to get started changing your windows xp theme ,click start then control panel and then go for appearence and themes .then click display. now choose the themes tab. if you do not like any themes that come with windows xp ,go to the microsoft download site to download one to install. <> Fro their you should Go to the " Display " option and At the top most corner of the window choose to select on "Change the themes"
1.please turn on your pc and press right click on desktop. 2.now open the last option which is properties. 1st right click on your personal computer display screen and select components option. Click the Themes tabs through the Present Homes dialog box. Click the motif number and choose your preferred theme. Microsoft windows XP offers a preview of your determined theme. If you love your motif, click OK or even else click cancel. You can get practical knowledge the revolutionary these individuals immediately with the example you click OK. Right click and choose Properties..
Now click on Themes tab..
Now you can choose which theme you want to set.. If you want New themes..
You can download XP themes from Internet..
for that visit below website..
After downloading Just install it..
You are having a trouble to Changing theme in Windows XP in HP home system. Right Click on to your Desktop. Now you can seen the various themes . Select From the list and click on OK.
first of all right click on the desktop screen and select the properties . now window XP give a preview of your selected them and if you like the them click ok or else click cancel . you can right click the system desktop..
under choose or click needed themes..
it set automatically desktop background in your system..
By following the above steps you can change the theme on your desktop. 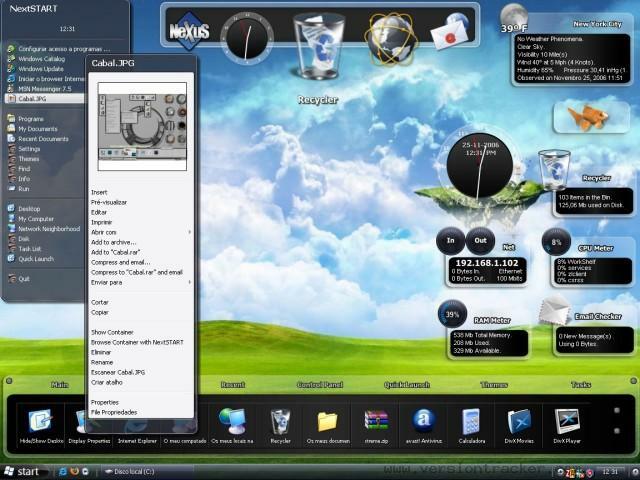 >> You want to change the theme of Windows Xp system. >> For that go to Desktop. >> Right click on Black area on the Screen. >> Then Go to Theme tab. >> Select Any theme that you want to apply to the system. >> Now Press Apply button and then Ok button. From the drop-down options choose "Properties"
Now click "Apply" and "OK"
After this open the "Control Panel"
In Control Panel, you will find the option Change Theme"
Now hit Apply and click OK to Apply.